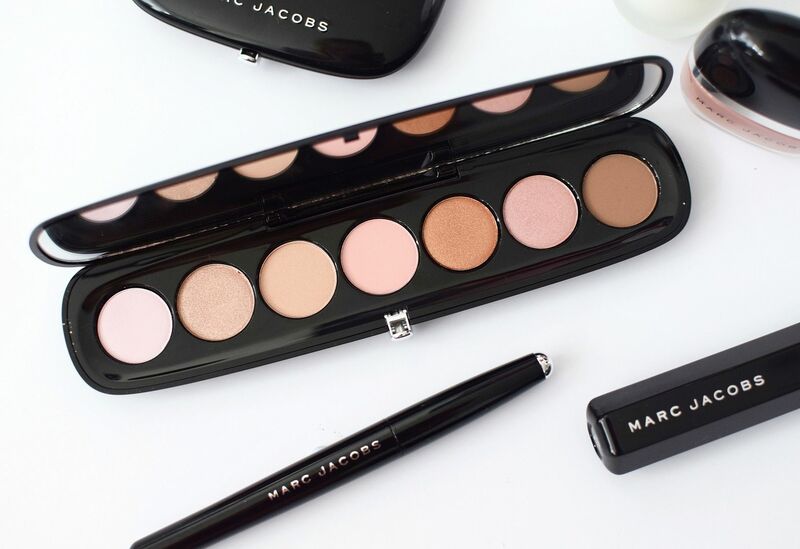 Marc Jacobs Beauty is a brand I always awe over in Sephora when I’m abroad. It finally started to sell over here a little while ago in Harrods, but I don’t think I actually made it to the counter once. I don’t know, I just never really go to Harrods that often. So now the brand has launched in John Lewis, I am more than excited, as it now means it is much more accessible. I recently attended the launch event for the John Lewis launch, you can check out my vlog for a look at what I got up to, but it was so lovely to see so many new additions to the range. 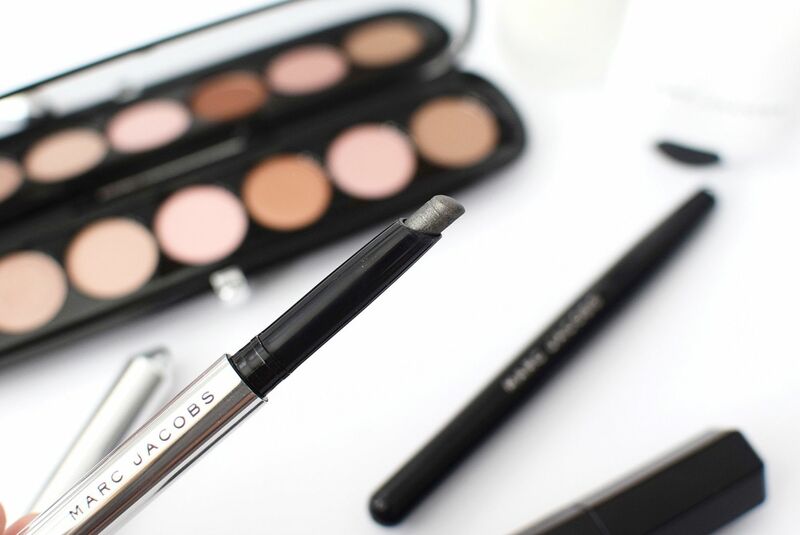 In the past I’ve only tried a few pieces from Marc Jacobs Beauty so it was great to see what was new and a have a play with the collection. So I thought I would share with you some of my favourites. This is a new product to the line and it’s a pretty genius one at that. It may look like just a blush, but look at those carefully placed lines. These are carefully placed for the ‘draping’ way to blush. 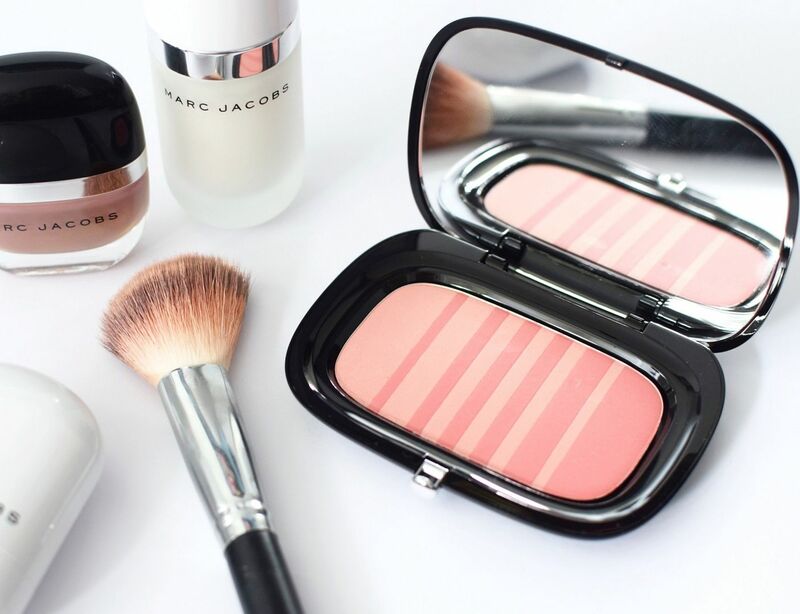 This means swiping your blush across to blend the two shades for a natural and subtle blush. Or you can use the darker shade as more of a ‘sculpt’ and apply it the apples below the cheeks, then add the lighter shade on top and blend, kind of like a blush contour. There are 5 shades in the range and I have the shade Kink & Kisses and it couldn’t be more perfect. I feel like I’ve found my exact shade of blush. I have been using this everyday since and I just love the packaging too. I have really enjoyed trying this primer and it has worked its way into my everyday routine. Firstly it smells of coconut, which I just love, so if you don’t like coconut this might not be for you. It feels cooling and hydrating on the skin, which is perfect for those drier skin types. It helps to create a vitamin rich barrier between your skin and your make-up and I found it really helps my make-up to go on smooth and last too. What I like about this palette is not only the colours but the mix of shadows. 7 shades include mattes, shimmers and sheens. The colours of The Lover palette are pinky neutrals, which takes me away from my usual beige and browns and I really like the light pinks for a change. You can create a mix of looks with this for day and also work the darker shades into the crease for a more subtle smoky eye for evening. The Glow Stick is a highlighter in a tube that winds up. It is said to have a universal glow that flatters all skin type and is a mixture of pearly gold and silver pigments. I found the highlighter to add such a subtle but yet powerful highlight, so it looks powerful enough but doesn’t look like you’ve went crazy with it or that you are sweating your head off. It just looks really lovely on and has a creamy texture, I much prefer a cream highlighter so this one really worked for me. The only thing is the packaging, it’s meant to be designed to swipe across the cheekbones, but I found it easier to use a brush, as when swiping it would pick up my other make-up and end up a bit make-up dirty which I didn’t like. Another new addition is the Twinkle Pop. I fell in love with the shade ‘Stardust’ when I saw it used on the model at the event. It adds a really pigmented colour across the eyelid with a hint of sparkle. This will be perfect for party looks up till Christmas. I haven’t used it too much yet, so will have to see how well it lasts on the eyelid. I do like testing out a new mascara as I am very picky when it comes to choosing one. Velvet Noir is a volumising mascara with a curvy big brush to apply. This mascara definitely volumized my lashes and thickened them and even on a second coat application it didn’t go clumpy. 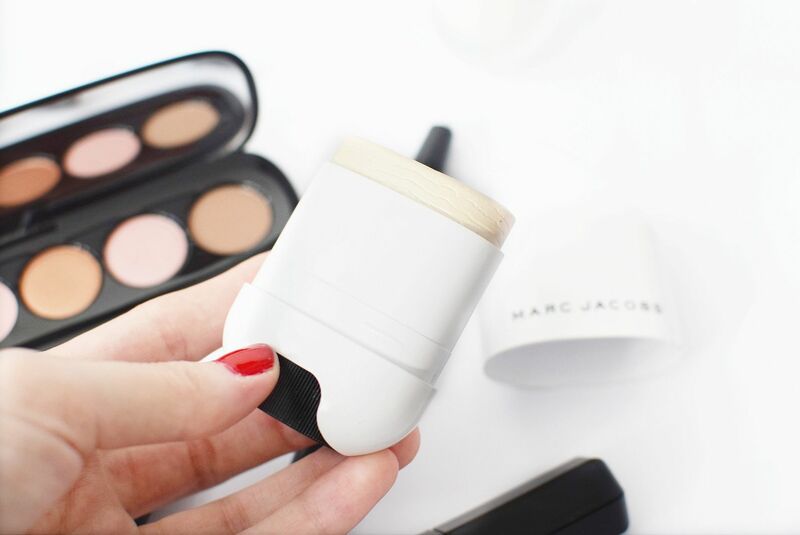 Marc Jacobs beauty is now available online at John Lewis & in the Oxford Street store, with nationwide roll out later this year.